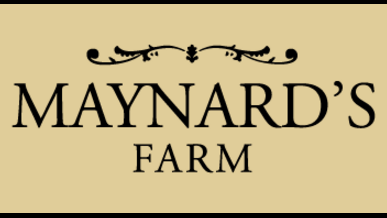 Rob and his team spend time carefully completing the process at Maynard’s Farm. Curing is what creates the depth of flavour. Rob is also careful to use local ingredients wherever possible in his process such as salt from the Northwich Salt Mines in the Cheshire Plains. Selected flitches of bacon are smoked in the Maynard’s Farm Smokehouse. The brick chamber is blackened by years of smoking. The rich smell is deliciously intense as the flitches hang from high hooks, taking in the wooded smokiness over a period of 48 hours. The wood shavings used for smoking only travel a few miles from nearby Wem. Experimentation and tasting is all part of the process of developing flavours. Consistency of existing flavours such as Treacle Cured and Shropshire Mild – is vital so that customers always know what they will be eating. Then there is the excitement of developing new flavours and seeing what tastes good enough for customers. They sell to selective supermarkets, other farm shops, delis and garden centres and they strongly believe in creating a long term relationship with clients, this involving regular visits and keeping them up to date with any new lines or promotions. 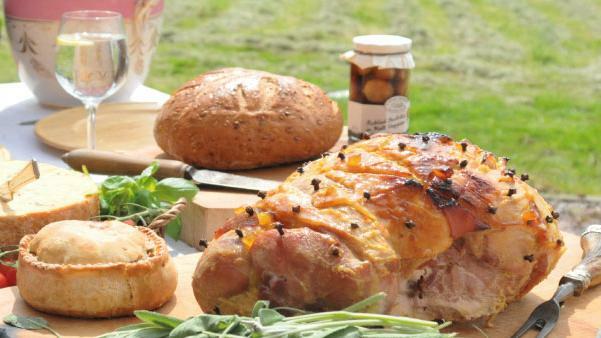 Maynard’s is not just about bacon but anything to do with pork and the range keeps extending – sausages, burgers, joints, hams, charcuterie, pork pies. Energy use is kept to a minimum by low energy lighting and turning of machinery when not in use.